Nicholas James and the Bandwagon - Founders Brewing Co. 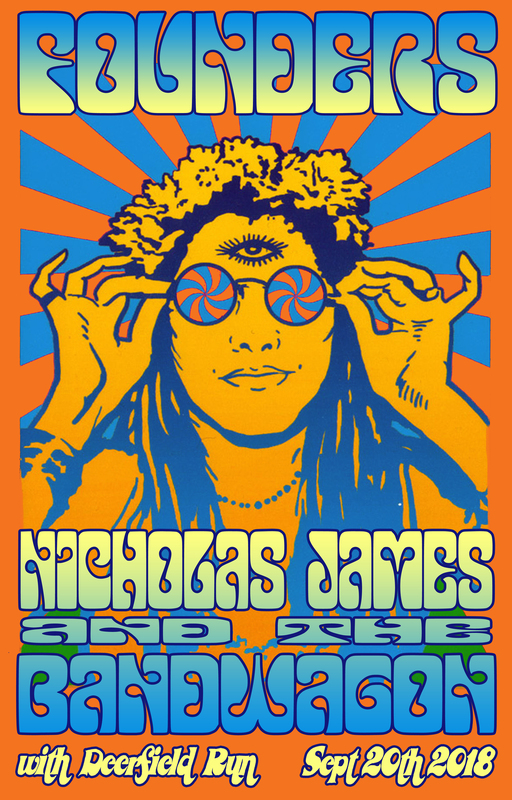 Traveling around in a bright orange 1973 Volkswagen Bus, singer songwriter and Earthwork recording artist Nicholas James Thomasma combines stories and songs with humor and wit for a show that can be enjoyed by patrons of all ages. The Bandwagon is the supporting cast behind Nicholas James Thomasma. When asked if the band played any honky-tonk, Pete Weatherhead slyly replied “Nope. It’s more like Hippie-Tonk.” Get ready for good times ahead. Hop on the Bandwagon!